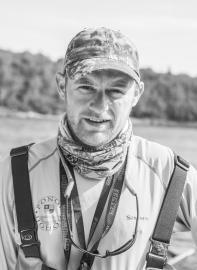 With 19 seasons in the Ponoi, Max is likely the most successful Atlantic salmon guide in the world. He leads the PRC Guide Team on the strength of his example. His reputation precedes him, most definitely for his provenance as a guide, caster, and angler, though also for his ability to contribute such enthusiasm and quality to a day of salmon fishing. 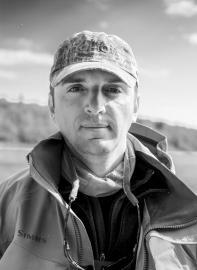 Andrei Federov has been part of the Ryabaga Team since 1999. Andrei is a passionate angler not only on the Ponoi but also in his home waters. In the winter, when not busy ice fishing he guides anglers on The Rio Grande in Tierra Del Fuego. He hails from St. Petersburg and is the proud father of 2 daughters. A former Yokanga guide, Anatoliy is a native of Umba, where, like many, he grew up in a rich fishing culture. Anatoliy is an Army veteran, an accomplished artist, and a former fisheries employee. Danil, aka “Big Dan", is a resident of Murmansk, and has fished for Atlantic salmon in the region since he was a small boy. Despite Dan’s physical presence, he is often remembered for his gentle, unflappable manner both on and off the water. Big Dan’s calm demeanor and extensive knowledge of the fishery makes for some very pleasant moments on a salmon holiday. 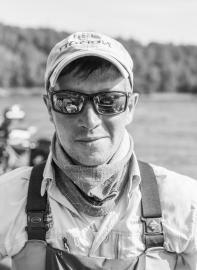 Evgeniy hails from nearby Murmansk, and joins us for his third season in Ryabaga. He has guided extensively on the Kola, and knows both the northern rivers and the Ponoi extensively. His intimacy with the local landscape and geography is unparalleled. 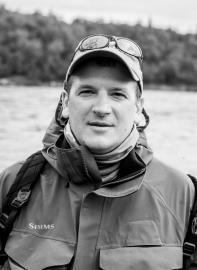 Nick is a native of Murmansk and, despite his age, one of the most seasoned guides on the Ponoi River. Having spent summers on the Ponoi since he was 16 years old, Nick has a developed a keen “nose” for Atlantic salmon, and he manages to deftly locate the biggest fish in any beat he’s working. Juan Cruz hails from Bariloche in northern Patagonia, Argentina. Having guided fly anglers throughout Argentina for species including golden dorado in the north to sea-run brown trout in Tierra del Fuego, Juan is becoming recognized as a leading professional in the field. Matthew Solon joins us from the west of Ireland, where he recently completed a course of study in Marine Science at the National University, Galway. 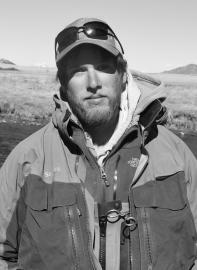 Matthew has been a favored guide at Kau Tapen for several seasons now, working alongside Ryabaga Head Guide Max Mamaev. 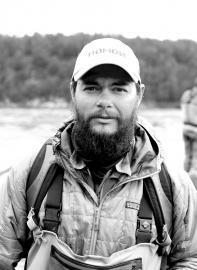 Luciano joins the PRC Team from his native Patagonia, Argentina. He has extensive experience as both a trout guide and a golden dorado guide, and his knowledge of technical whitewater, and good angling water, is extensive. Benjamin was born and bred in southwest Scotland, on the banks of the river Annan. 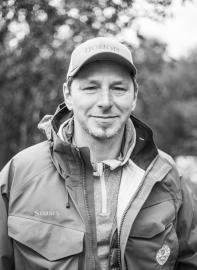 He grew up with a double-handed salmon rod in his hands, and come to Ponoi with over 13 years of experience salmon fishing all over Scotland. He has a particularly deep relationship with the rivers Tay and Spey. 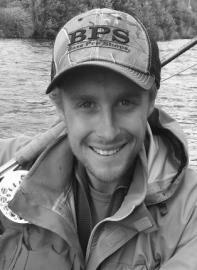 Max joins us from the USA where he recently completed an undergraduate degree in ecology. He grew up fly fishing for saltwater species in Connecticut, has chased trophy trout in the American West, and recently guided for salmon in Alaska. His diverse skill set and experience with various fly fishing techniques make for a great day on the water. 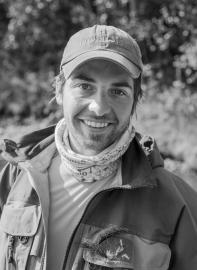 José Caparrós hails from Mendoza, Argentina, and has spent the bulk of his career pursuing Golden Dorado in the Salta region. He has served as Head guide at the Pira Lodge since 2012. Jose guided for the first time on the Ponoi in 2015 and has been a devoted member of the Ryabaga Guide Team ever since. He is a passionate traveler and pursues a range of outdoor activities, most notably river rafting. 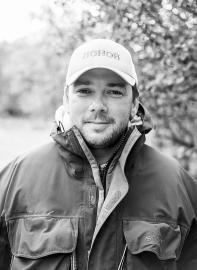 Freddie joins the PRC Guide Team from his home in the UK. Having grown up fishing the rivers of Wales, Scotland, and Ireland for Atlantic salmon, Freddie has developed a significant angling skill set. 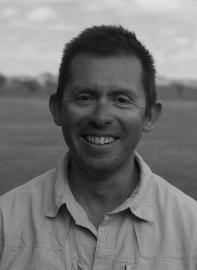 He has guided clients across Wales and the West of Ireland since finishing his Master’s Degree in Earth Science. 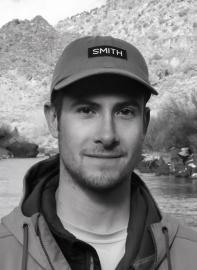 Jeremy joins us from the USA’s southern Rocky Mountains, where he developed a deep passion for the outdoors through fly fishing and backpacking. 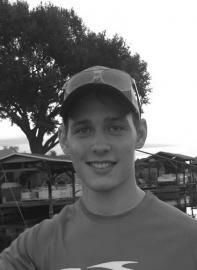 He recently completed a bachelor’s degree in Environmental Science, and has been guiding fishing trips since he was 17. His passion for fly fishing drives him to spend his time traveling the American West in search of new experiences and fish. A true skilful Team of Internantional English speaking guides, well trained, great spey casting instructors, fun to be with and always ready to help. A very strong asset that adds to an Incomparable fishing experience!